Board resolution for opening bank account is a resolution passed in a Board Meeting authorizing certain persons in a company to open and operate the Bank account of a Company or LLP. As a Company is a separate legal entity, the board resolution for opening bank accounting is required in addition to the other documents for opening a bank account. 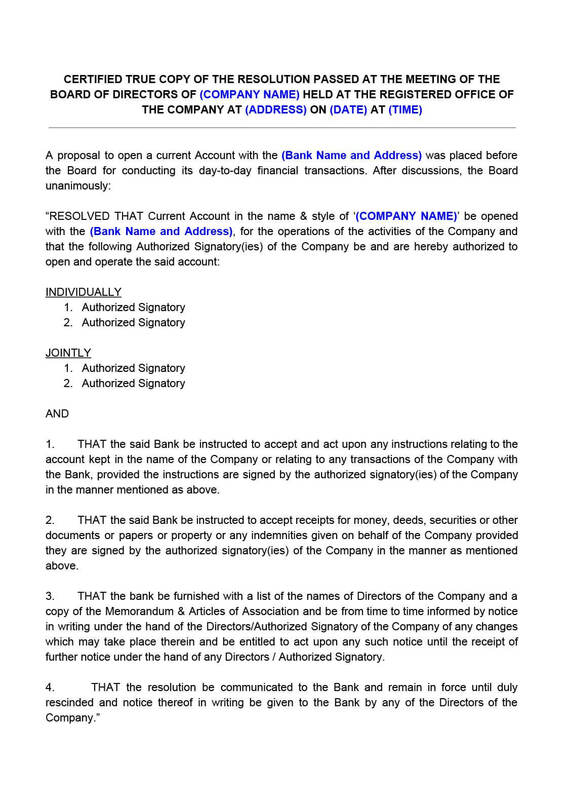 In case the Company wishes to have Bank accounts with various banks, then separate Board Resolutions must be executed for each of the Bank in which account is to be opened. Board resolution for opening of bank account is one of the first resolutions executed after incorporation of company or LLP. You can also download the Board Resolution for Opening Bank Account format in the following formats. The board resolution for opening bank account can be used for opening the bank account of a Private Limited Company, Limited Liability Partnership, Limited Company, Section 8 Company or One Person Company or Foreign Companies. 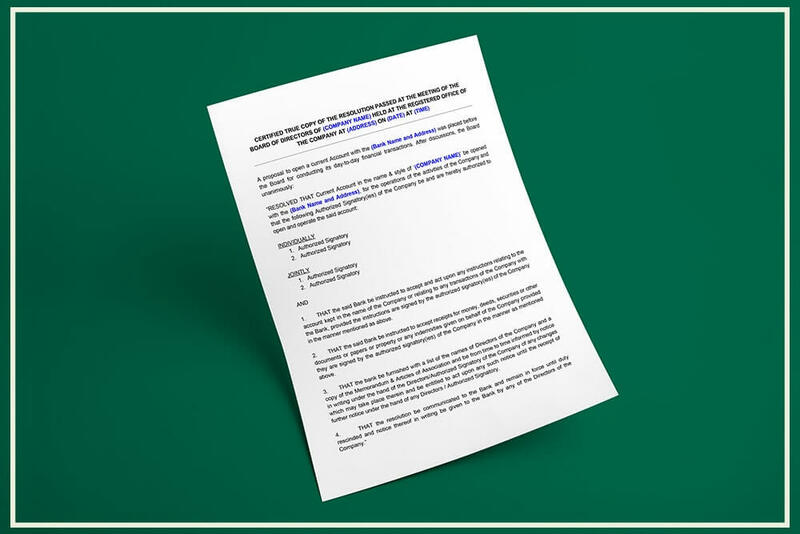 Once, the board resolution for opening bank account is created, it can be printed on the letterhead of the business, signed by the Directors and provided to the Bank in which account is to be opened. The board resolution for opening bank account must be printed on the letterhead of the business. The board resolution must be signed by two ore more of the Directors of the Company with quorum at a Board Meeting. In case of One Person Company, the Board Resolution for Opening of Bank Account can be signed by the sole Director and shareholders. In the Board Resolution, one or more Director or Officer or Employee of the business can be nominated by the Board of Directors for opening and operating the bank account of the company. 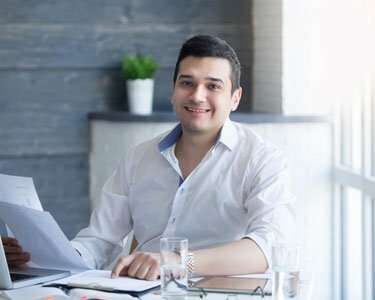 One copy of the board resolution can be retained with the Company while the original is provided to the Bank opening the account for the Company.